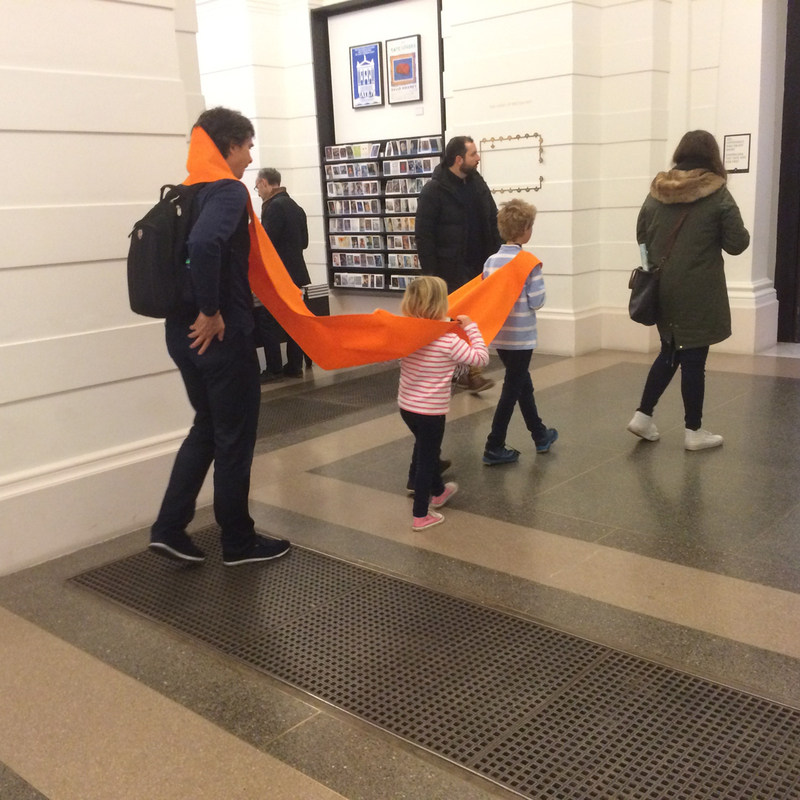 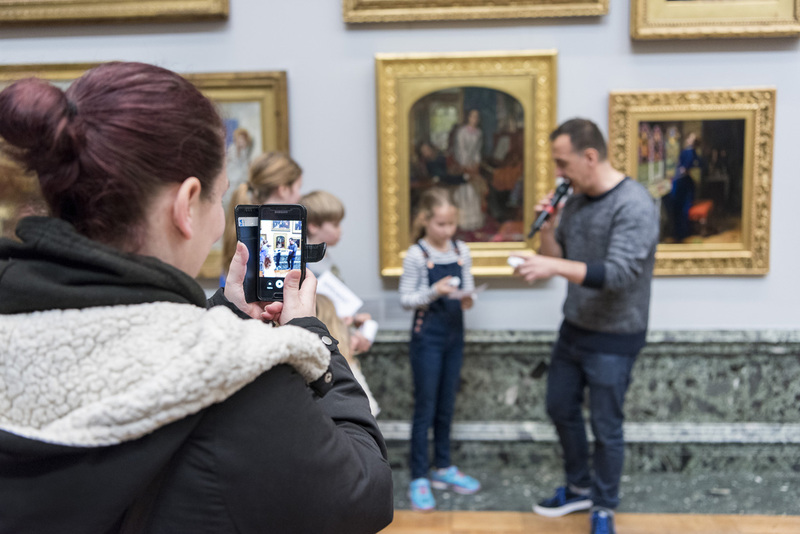 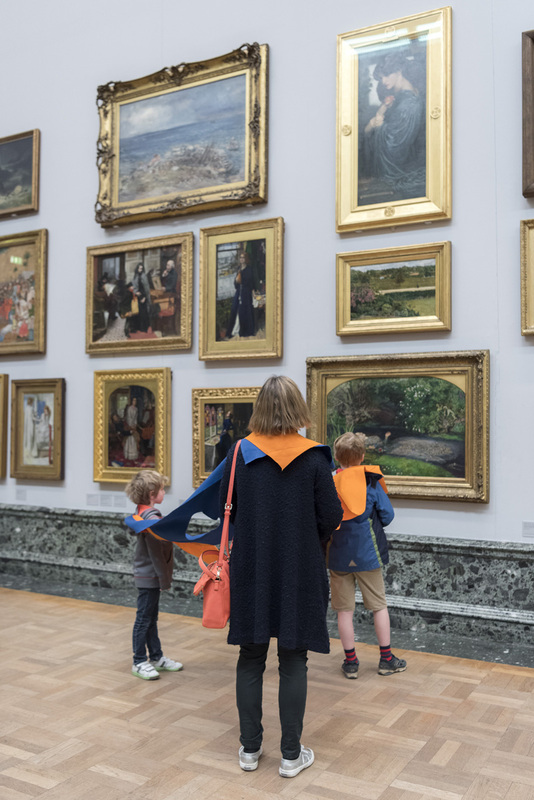 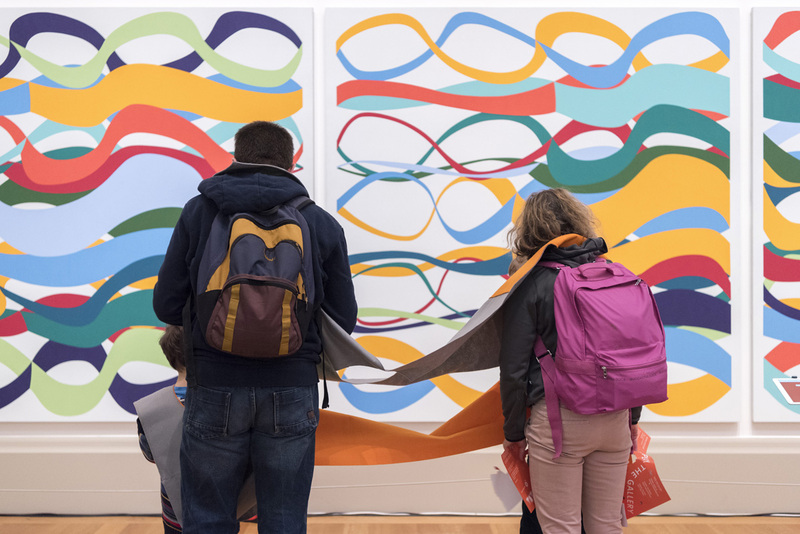 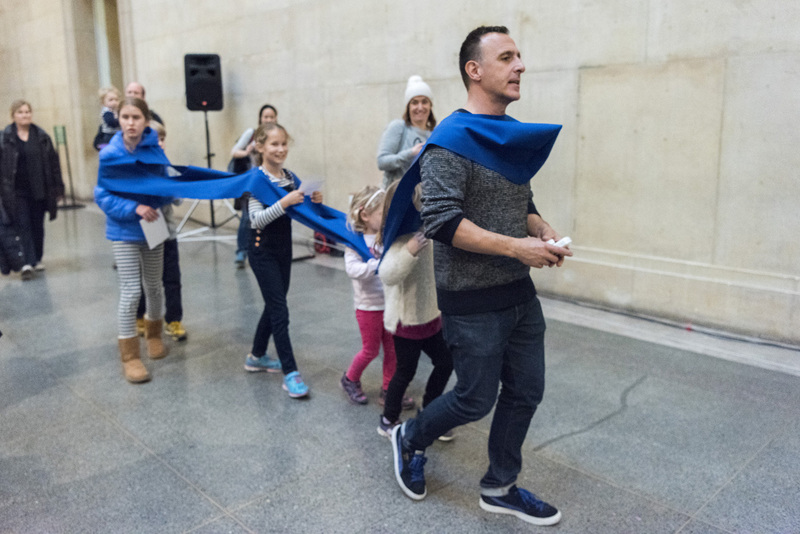 Elastic Communal Tours and Rules for Games Lab were two different works commissioned by Tate’s Early Years and Families team for their Play the Gallery Family Festival 2017. 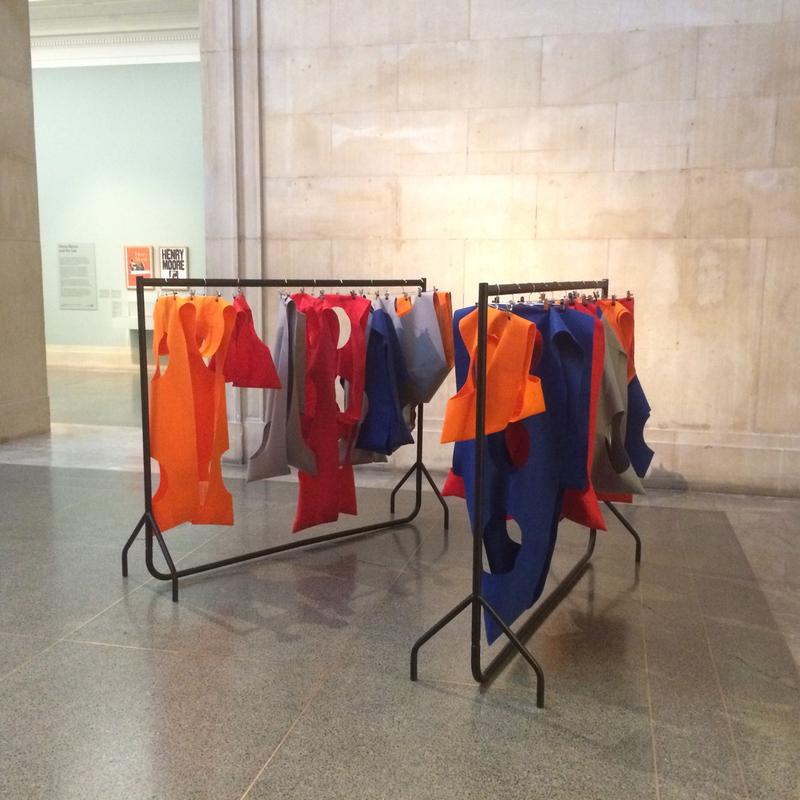 For Elastic Communal Tours I produced a series of wearable sculptures to be worn by teams of between two and ten participants. 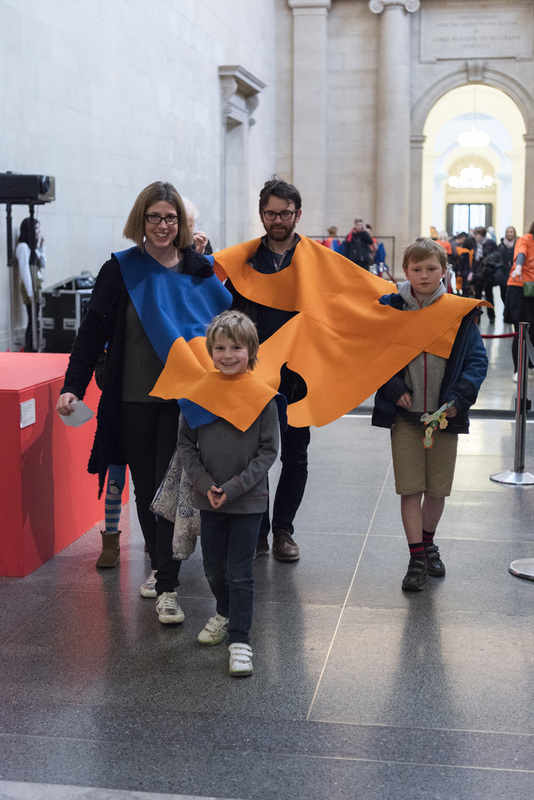 Each wearable sculpture came with a set of instructions that prompted you to move around the galleries and engage with the artworks and the rest of the public. 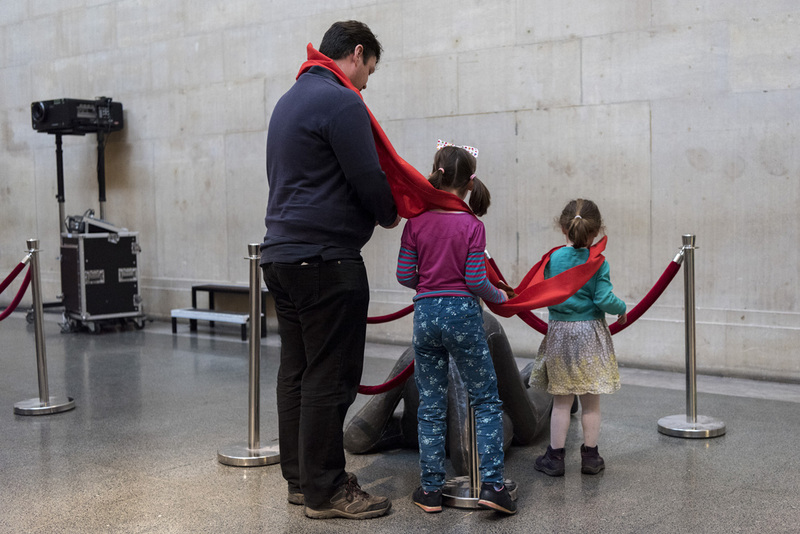 The piece wanted to foster a sense of temporary community by proposing moments of sharing and meeting people and by helping you to allow yourself to be led by others. 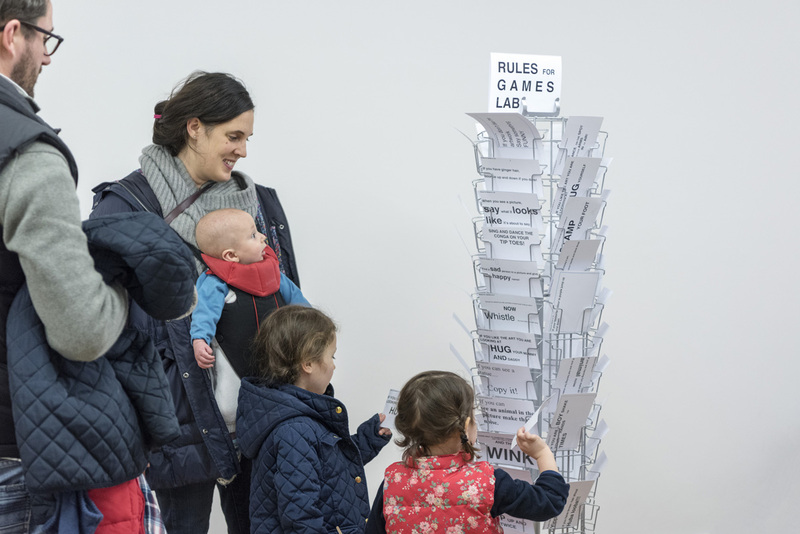 Rules for Games Lab wanted to give younger visitors to the gallery a loud voice and a visible impact within the institution. 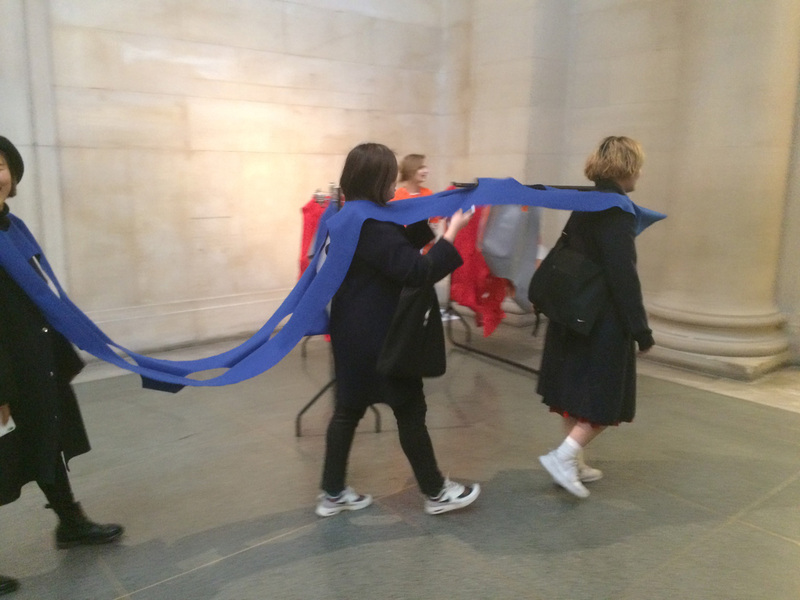 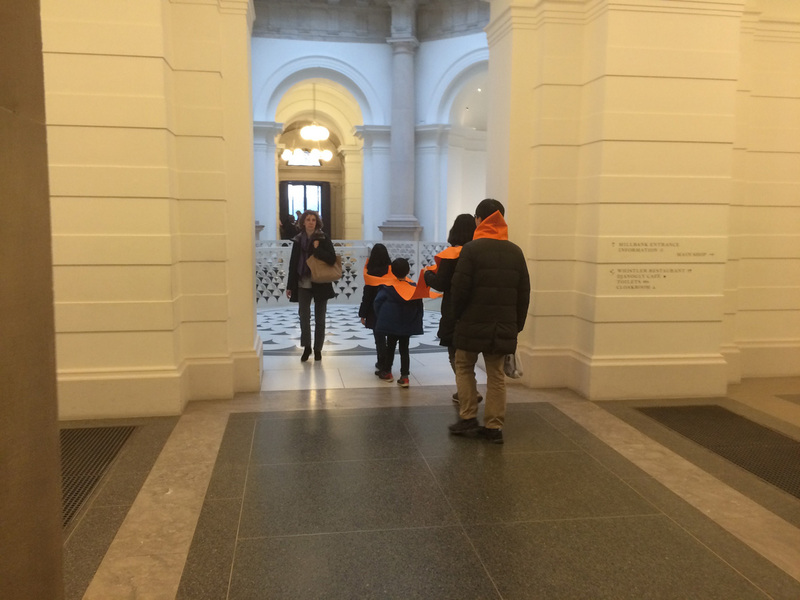 Lab members were asked to come up with simple rules and instructions to be performed by everyone in the galleries. 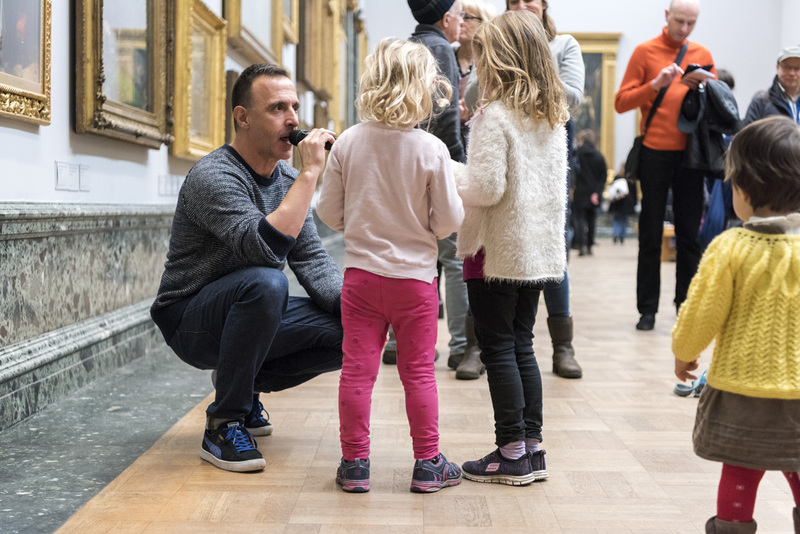 These were then broadcast into the galleries for the rest of the visitors to perform.